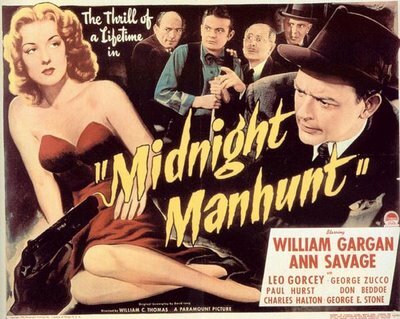 Tonight’s feature is the comedy/mystery MIDNIGHT MANHUNT starring William Gargan, Ann Savage, Leo Gorcey and George Zucco. At the shoddy New York Empress Hotel, gangster Joe Wells is attacked by Jelke, who then steals a packet of diamonds from Wells’s apparently dead body. 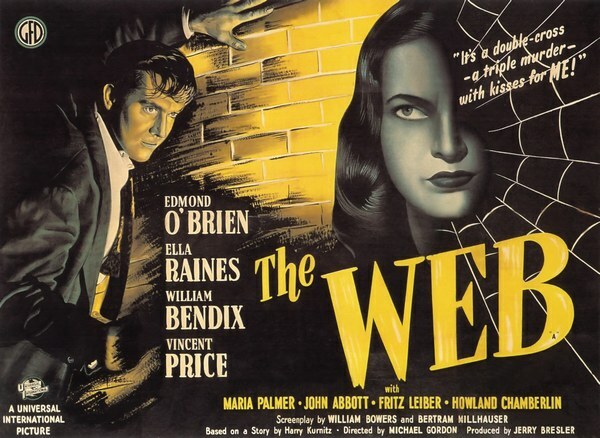 After Jelke leaves, Wells, who is still alive, struggles out of his room, but is later found dead outside The Last Gangster Wax Museum by policeman Murphy. Murphy reports his finding to detective Max Hurley, who does not believe it because Wells, who has been missing for five years, was presumed dead. When Murphy goes to verify the identity of the body, it has disappeared. 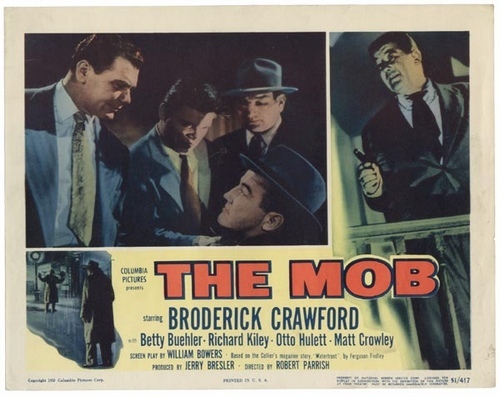 Tonight’s feature is THE MOB  starring Broderick Crawford, Betty Buehler, and Richard Kiley. While walking home late one rainy night, off-duty police detective Johnny Damico hears the gunfire of a shootout. A man at the scene identifies himself as a fellow officer and hastens to summon police backup as Johnny examines the victim. 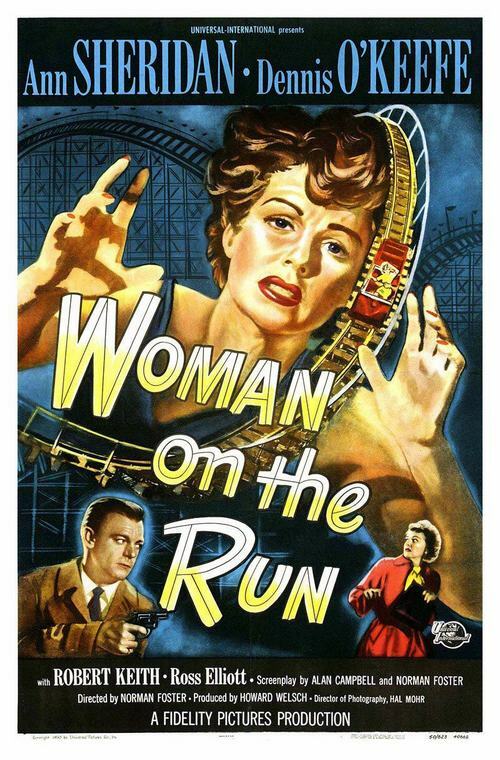 When the officer fails to return, Johnny grows suspicious and telephones his commanding officer, Lt. Banks. After Johnny relates the events, Banks summons him to headquarters, where he informs Johnny that the badge shown to him by the man at the scene was taken from an officer murdered a few hours earlier. The victim is identified as the principle witness for a grand jury investigation into the waterfront rackets.